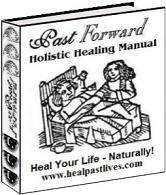 "I have had many sessions with many types of healers. While they have all been helpful in some way, Ellen is by far the most powerful, accurate, and healing. Her one-on-one sessions are life altering! Please heed her advice to rest and pace oneself after the exercises - they are that powerful. I look forward to working more with Ellen. She's amazing!